People seem to be in a lot of despair. They feel like they don’t have choices. Dan’s wife Joanne joins him on this week’s podcast and shares some of the trials and tribulations of their life and how the choices they’ve made have impacted them. Hi, this is Dan Miller – and yes you’re listening to the 48 Days Radio show. In this episode I invited Joanne to join me in responding to the flood of messages we’re getting from listeners who feel trapped by their circumstances. Welcome to the 48 Days Radio Show. 1. How much choice do we have in the kind of lives we live? 2. What happens if you don’t even have the support of a spouse? 3. Where do those whom nobody cares about fit in this? 4. I am 58 and have gotten nowhere in life. When will my turn ever come? 5. I would like to hear any encouragement from experiences of people you might know who hit bottom in every area of life and they went forward. 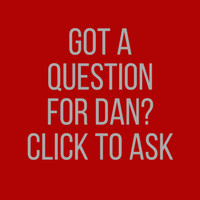 Questions from Dan: What Choices Have You Made? Did you choose the house you’re living in? Did you choose the job you have now? Did you choose the car you’re driving? Did you choose the college you went to or whether to go to college? Did you choose the person you married? What choices are you making right now? Freshbooks – To claim your month long unrestricted free trial with no credit card required, go to https://www.freshbooks.com/pages/48days and enter “48 Days” in the “How Did You Hear About Us?” section. If there is one thing that has fueled my own success it is the books I have read. I continue a heavy reading schedule and will until the day I die because the wisdom of the ages is so readily available for any of us – it’s a shame to not take advantage of it. I am asked repeatedly what books I recommend. So here are 10 suggestions for 2018. You’ll notice these are not all business or money-making books, but I truly believe that financial success is a byproduct of personal success. If you want to get rich, work on developing YOU! 1. Frankl, Viktor. Man’s Search for Meaning. A classic work by a concentration camp prisoner that shows that even when everything else is taken away, we have the ability to choose. I read this one about every six months just to remind myself of what is really important. 2. Gire, Ken. Windows of the Soul. One of my favorite books ever. A gentle guide to help us see God in new ways. I believe it opens our eyes to see more opportunities all around us in the process. A timeless classic. 3. Quindlen, Anna. A Short Guide to a Happy Life. What does it take to really live deeply and successfully, rather than to just exist? This little book puts in perspective those things we often consider to be too important. 4. Schwartz, David. The Magic of Thinking Big. Workable methods for thinking big. How to create your own “good luck.” The book that put coach Lou Holtz on the road to extraordinary success. 5. Carnegie, Dale. How to Win Friends & Influence People. This is the classic little book on creating great relationships and building trust with others. 6. Ziglar, Zig. See You at the Top. This book is full of easy to understand principles for any age. We used it as a text book for homeschooling our children. 7. Hill, Napoleon. Think and Grow Rich. I’m sure you’ve heard of this one. The principles are as true today as they were in 1937. I value this book so much I have an original copy. 8. Lapin, Rabbi Daniel. Thou Shall Prosper. Nothing has shaped my thinking on a healthy Biblical perspective on money as much as this book. 9. Conwell, Russell. Acres of Diamonds. I love this little story about discovering that the opportunities for our greatest success are often right under our nose. 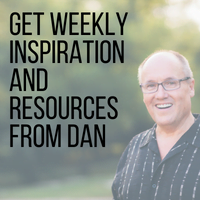 Get a digital version here FREE when you sign up for Dan’s weekly inspiration and tips on finding or creating work you love. 10. Canfield, Jack. The Success Principles. An incredible compilation of 64 success principles from the co-author of the Chicken Soup for the Soul series. 2. Get the advice and opinions of others. 4. Choose the best alternative. And we avoid the crippling power of indecision. Yes, this process must be bathed in prayer. But a daily walk of integrity and character should provide confidence in moving ahead quickly with most any decision. You, too, can deal effectively with the challenge of making solid decisions. Don’t be indecisive and unstable in all your ways. Rather, walk in the strength, confidence, and boldness that come from decisive action. 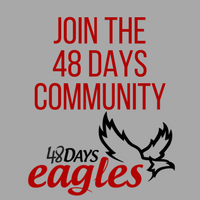 https://48dayseagles.com/. 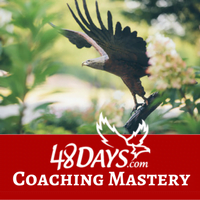 Membership in this exploding community of achievers! If you don’t like the life you’re living today, ask yourself what kind of changes you are willing to make happen to have a different life.